Senator Jonathan Prescott III is on track to make a run for President. He has the pedigree, the credentials, and the smile. 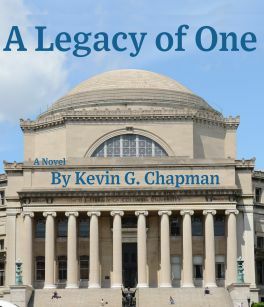 But, at his twentieth college class reunion Jonathan meets up with two old friends who remind him of the brief period in his life when he thought about charting his own course. Now, the keeper of his biggest secret threatens to reveal it, along with another bombshell that will put Jonathan’s political life on the line. Jonathan must decide whether his true legacy is the one his father has planned for him since birth, or one of his own making.